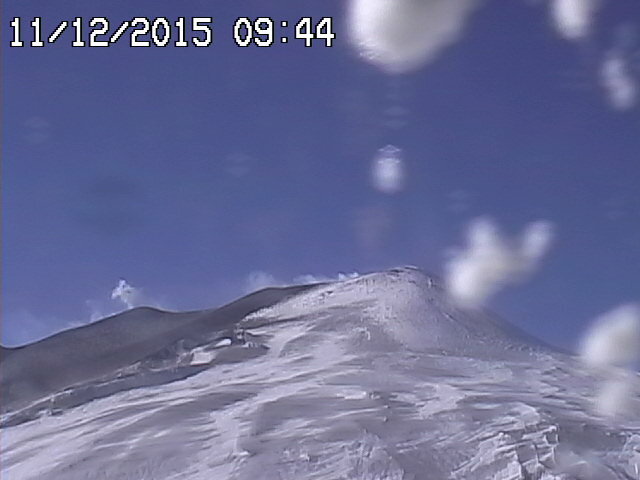 Etna (Sicily, Italy): (11 Dec) The volcano is at the moment calm. During Wednesday, the initially strong ash-venting activity from the NE crater decreased and stopped yesterday. Karymsky (Kamchatka): A stronger (probably vulcanian) explosion seems to have occurred this morning. Based on satellite data, Tokyo VAAC reported an ash plume that rose to 18,000 ft (5.4 km) altitude. Shiveluch (Kamchatka): The volcano continues to slowly extrude viscous lava at its dome, which sometimes results in smaller or larger avalanches as well as explosions, both producing ash plumes. Over the past weeks, this activity has been a bit lower than previously. Canlaon (Central Philippines): Small ash emissions occurred this morning at 05:13 local time, producing a plume that rose approx. 500 m from the volcano's summit. Bromo (East Java, Indonesia): Activity at the volcano has increased during the past two weeks. Ash emissions of fluctuating intensity began early December and have been near-continuous. Dukono (Halmahera): Ash emissions continue from the crater with little significant changes since our last tour group was there in October. Darwin VAAC regularly reports ash plumes drifting at 7-10,000 ft (2-3 km) altitude for up to 100 km distances before dissipating.